Looking for a Corkscrew Full Cheek Bit with 6 1/2'' Cheeks which is durable and affordable? You came to the right place. 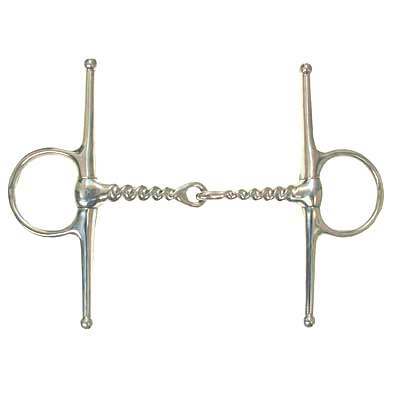 Here at Horse Tack Now we have a nice selection of Corkscrew Bits for you to choose from. These Corkscrew Full Cheek Bits will give lateral control to the horse and measure 1 1/2" rings, 10mm mouth and have 6 1/2"" cheeks. We know how hard it can be to find a great deal on a Horse Full Cheek Bit. This is why we offer all our Corkscrew Bit items at discount prices to help our customers save and want to come back for future purchases.